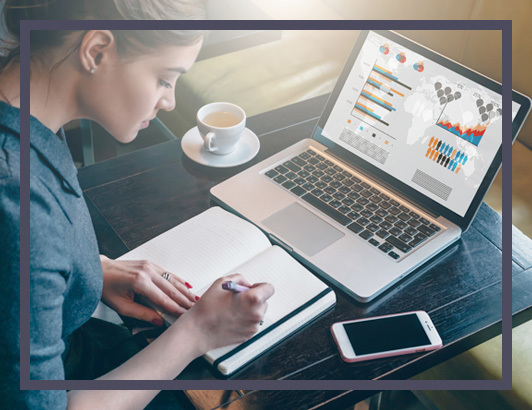 Enterprise Connect provides the comprehensive analysis and in-depth information you need to do your job, providing expert insight across topics such as Unified Communications, SIP Trunking, Cloud, Video, Speech Technologies, Team Collaboration, WebRTC, and more. Leading conference and expo for Enterprise IT professionals charged with communications and collaboration decision making. Complimentary educational sessions offering the latest information on key topics. Make Enterprise Connect's community site your trusted daily source for industry news and analysis. 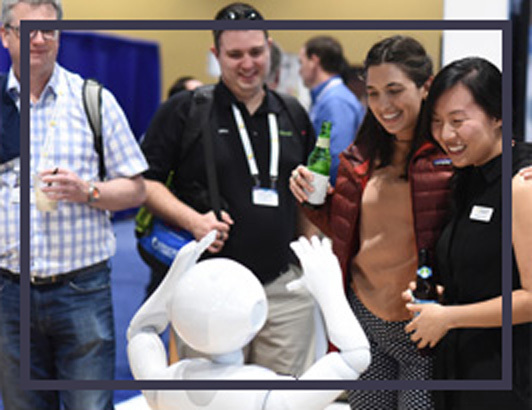 Enterprise Connect Conference & Expo provides the insights you need to transform your communications and collaboration systems and services. We’re the source for enterprise IT professionals driving next-gen migrations. CLOUD CONTACT CENTER TAKEAWAYS FROM ENTERPRISE CONNECT! Make No Jitter your trusted daily source for industry news and analysis! No Jitter is the leading online community for the exchange, debate, and incubation of ideas and best practices regarding enterprise communications and collaboration. 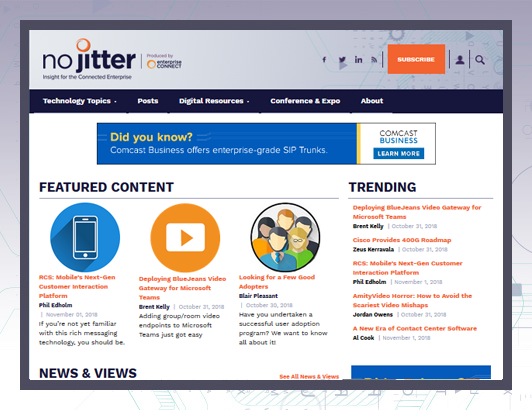 Sign up for No Jitter's weekly newsletter and get the latest news delivered to your inbox. Microsoft teams with Steelcase to offer a digital collaboration solution that team members can roll along with them from one workspace to another. It’s a great time to embrace change and take a leadership role in defining what emerging trends mean for your business. 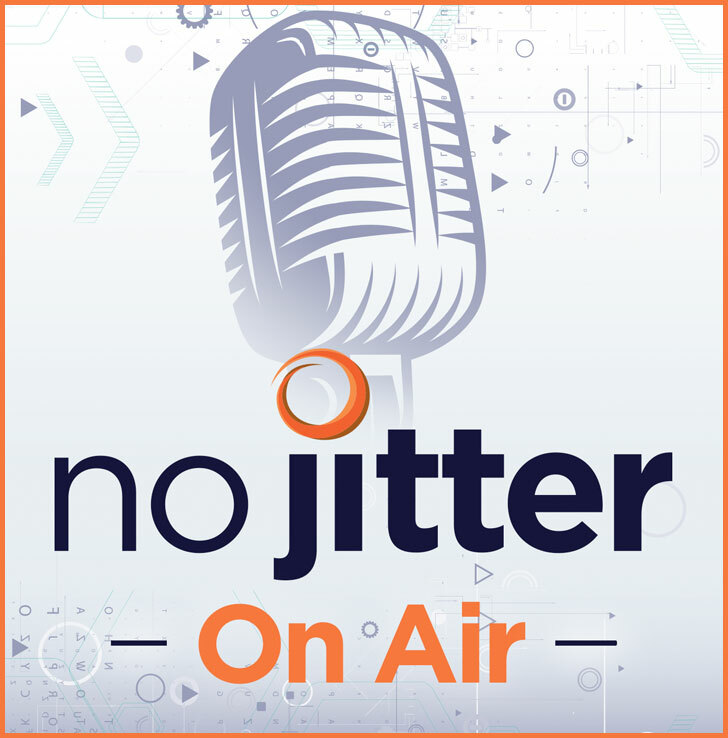 The No Jitter podcast series features 30-minute interviews with third-party experts and enterprise IT professionals on pressing industry and business issues. Like, Follow and Connect with Enterprise Connect year round across all our social channels. When posting, simply use #EC19.